If you’re looking for some tunes to put you in the holiday spirit and want some new renditions to spice up your playlists, here are some of the many festive CD’s we have available at the library! Ask your reference librarian where to find these hidden gems! Interested in taking charge of your health in the new year? This week Sewickley Public Library is offering a variety of health and wellness events. HealthyWorks of Pennsylvania Winter Wellness Event, 10AM-1PM – Are you on the track to better health this winter? Find out with the following free interactive screenings: Blood Pressure Checks, Weight-Loss, Posture Checks, and Body Mass Index Readings. In the Community Room. No registration required. Nutritional Healing, 7PM-8:30PM – Gain the knowledge you need to get off to a great start this year with Susie Weiss of Young Living Essential Oils. Susie will give a presentation on Nutritional Healing. In the Community Room. Please register – spots still available! Arthritis Foundation Classes – Tai Chi – Wednesdays @ 10AM starting January 15 – This ancient practice will help to reduce stress and fatigue. Meditation in Motion. Exercise – Wednesdays @ 11:15AM starting January 15 – This safe and simple exercise program will help to reduce pain and stiffness, increase muscle strength, maintain joint mobility, and improve balance. Please register at Reference Desk – space still available in Exercise, watch for the next session of Tai Chi. Reiki Healing Exchange, 6:30PM-8:30PM – Learn more about Therapeutic Touch and experience a relaxing, peaceful evening. A $5.00 donation for the library is requested. No registration required. Sahaja Meditation, 11AM-12:30PM – Every Saturday @ 11AM – Enjoy the silence, peace, and stress release that is always free. No registration required. Remember to take a look at the Library’s Event Calendar to stay up to date with all of our programmatic offerings as well as register for the above events, and Do Something @ Sewickley Public Library! Below you will find a sampling of the many programs that SPL is offering for Adults this December. Feel free to share these with your friends! For programs that require registration, the title will link you to the registration page. More personal than any electronic mail, make and snailmail these eight beautiful Christmas card creations. Stampin’ Up instructor Brenda Cerankowski will demonstrate and guide you in making 4 different designs. You will create two cards of each design. Bring a friend! This program is for Tweens through Adults. Materials fee $20. Learn how you can borrow eAudio from Overdrive, our e-content provider. Listen on your Mac, PC, iPod and more. Join us for a jolly exchange of good cheer, yummy cookies and treasured recipes. Have a family recipe that is too good not to share? Bake it and bring a copy of the recipe to share with everyone else. And if you’re so inclined, stay for a showing of Sarah’s Key, based off the bestselling novel of the same name. Please Register. 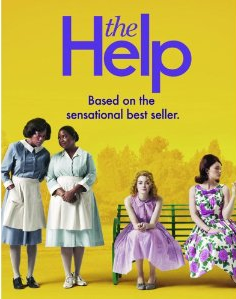 Book-to-Movie Blockbusters – Bring a lawn chair, bean bag, or picnic blanket if you’d like. Learn how to borrow ebooks from our website to your eReader, including the Kindle! Stop at the Reference Desk to request a copy of A Royal Pain by Rhys Bowen. Three of the key members of the memorial project will host two free ‘THANK YOU SEWICKLEY’ lectures at 10:30 AM and 2:30 PM on Wednesday, December 28. Presentations will be made by Regis D. Bobonis, Chairman; John Dioguardi, the designer of the memorial; and his illustrator, Ray Simon. 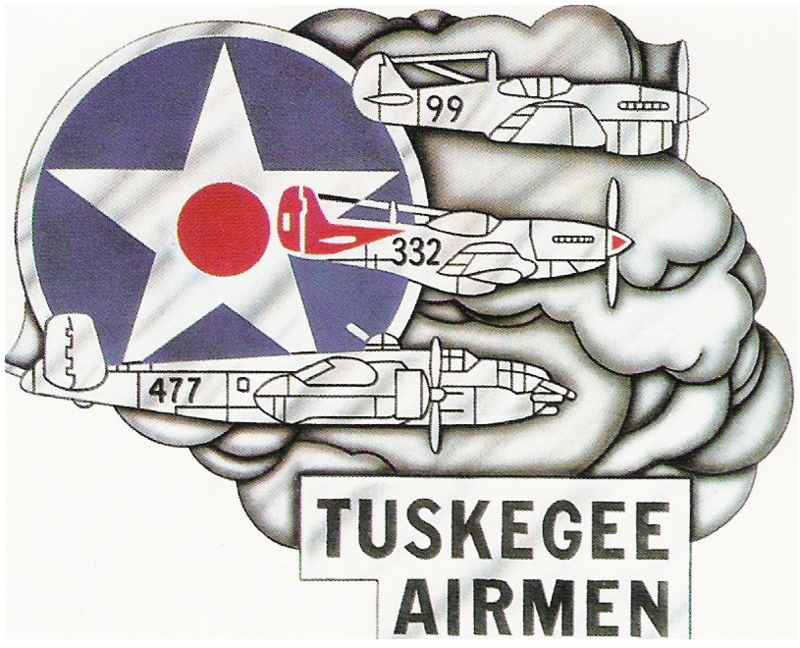 The monument will be the largest and only outdoor colorized monument created to honor the Airmen of the Tuskegee legend. It’s not too late to put these Hot Holiday Items on hold! I’ll Be Home for Christmas Brian McKnight, CD 781.723 MCK 2008 – Christmas cheer runneth over with McKnight’s first true holiday collection featuring all of your favorite Christmas classics and three new McKnight holiday originals – presented in that smokey R&B mold that McKnight does so well; McKnight’s famed vocal prowess will definitely make this the most wonderful time of the year! As an extra special bonus, Josh Groban, Rascal Flatts and Babyface also make guest appearances on the album! McKnight’s visibility will be growing around the holiday season and into 2009. Already a household as a result of his hits, a stint in Chicago on Broadway, and his own radio show (KTWV the Wave /LA, McKnight is also the host of his very own video countdown Soul Sessions with Brian McKnight on BET . Songs of Joy & Peace Yo-Yo Ma & Friends, CD 781.723 MA 2008 – Imagine a party, a musical party inspired by the holiday season. A party that celebrates the universal hopes, dreams and joy animating seasonal festivals the world over – Christmas, Hanukkah, Eid al-Adha, Kwanzaa, Yule and New Year’s Day. That is what brought Yo-Yo Ma together with a remarkable group of friends – some old, some new – to create SONGS OF JOY & PEACE. It is Yo-Yo’s hope that everyone who listens to this album will hear a song familiar, comfortable and beloved to them as well as discover and fall in love with music that is brand new. A Swingin’ Christmas Tony Bennett Featuring the Count Basie Big Band, CD 781.723 BEN 2008 -2008 album release Swingin’ Christmas featuring the Count Basie Big Band. Bennett has 15 Grammy Awards along with the Grammy Lifetime Achievement Award (2001). ‘Tony Bennett is among the most recognized human beings on the planet.’ ~Vanity Fair. The album tracks are ‘The Christmas Song’, ‘Have Yourself A Merry Little Christmas’, ‘I’ll Be Home for Christmas, ‘Winter Wonderland’, ‘Santa Claus Is Coming to Town’, ‘Christmas Time is Here’, ‘My Favorite Things’, ‘The Christmas Waltz’, ‘Christmas Auld Lang Syne’, ‘Silver Bells’ and ‘Christmas Tree’. 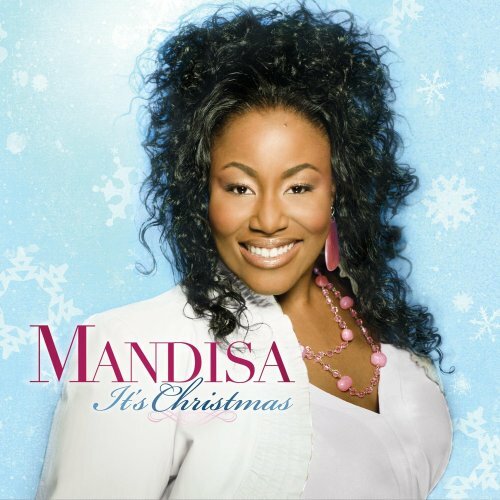 It’s Christmas Mandisa, CD 781.723 MAN 2008 – Mandisa’s debut album True Beauty gave inspiration and hope to women everywhere and challenged us to rethink our definition of beauty, and proved she had more than just talent – but something important to say. This fall, she returns with her first full-length Christmas album It’s Christmas. Produced by Brown Bannister (Amy Grant, Steven Curtis Chapman, Jeremy Camp), It’s Christmas strikes a balance between traditional Christmas carols and newer songs, and features special appearances by Michael W. Smith and Matthew West. 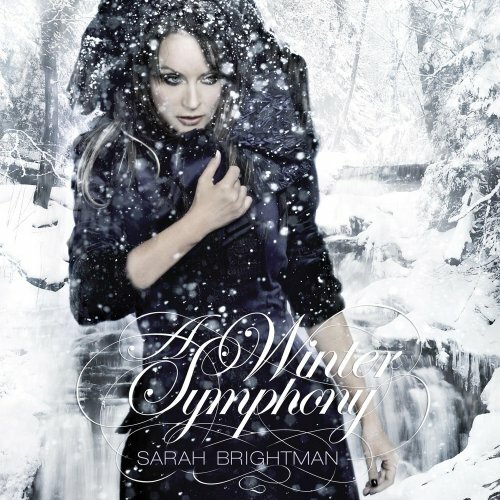 A Winter Symphony Sarah Brightman, CD 781.723 BRI 2008 – Arrival — Colder than winter — Ave Maria (with Fernando Lima) — Silent night — In the bleak midwinter — I’ve been this way before — Jesu, joy of man’s desiring — Child in a manger — I wish it could be Christmas everyday — Amazing grace — Ave Maria — I believe in Father Christmas. Don’t Come Home for Christmas Jeff Dunham, CD 781.723 DUN 2008 – YEAR-ROUND FAMILY FUN! CONTAINS INSTANT SING-ALONG CLASSICS (AND A FEW TWISTED ONES)!! !Don’t Come Home For Christmas is the first CD of songs ever released by Jeff Dunham and his beloved group of characters! Tracks include Achmed’s “Jingle Bombs,” Bubba J’s “Roadkill Christmas,” and Walter’s heart-felt “I Hate Christmas.” Join Jeff and “Guitar Guy” along with Peanut, Bubba J, Achmed the Dead Terrorist, Sweet Daddy Dee, José Jalapeño, and Walter as they make Christmas very special – and hilarious – like only they know how.